It’s there, settled deep in one of the recesses of my mind. It’s a fear and a hope, all rolled into one confused bundle. It drives me as much as it instils dread. It’s this – what if, one day, I run out of new bands? The fear: What do I write about? ; the hope: Thank God for a legitimate reason for a day off! Fact is that it doesn’t look like it’s going to happen any time soon – hell, I’m chucking in a bonus band every day at the moment, because there’s so many swilling around in ANBAD’s New Bands Bin. Thoughts like this usually crop up when I hear a song I’m just not sure about. One that usually comes after hearing half an hour of songs that I’m definitely sure I don’t like, and an hour after I swore I’d go and do something more constructive than listen to lots of new pop songs. 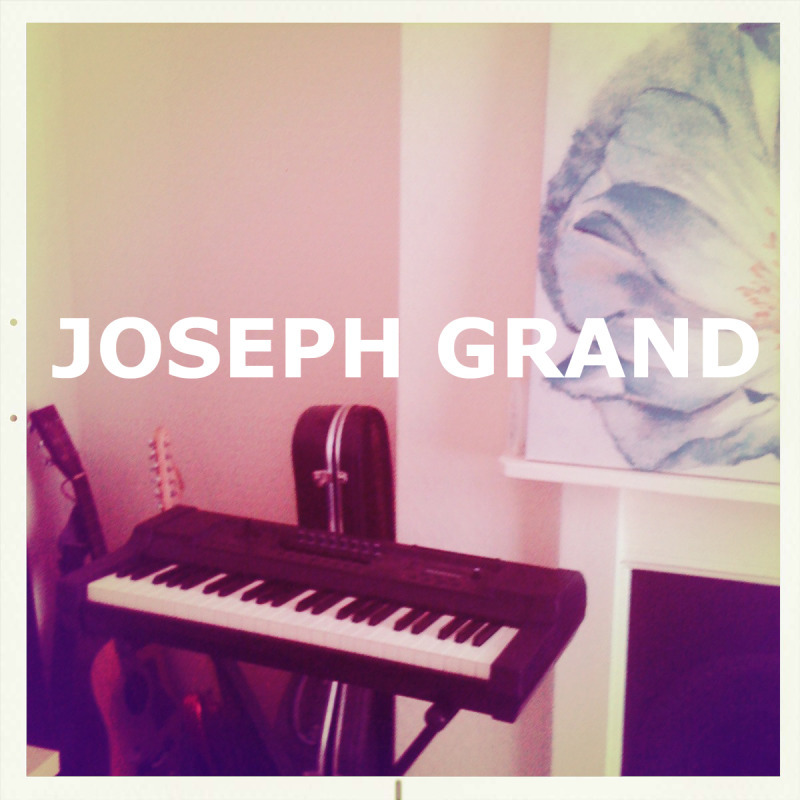 Joseph Grand fell into the former category, and it was him that set off the spiral of doubts. Gee, thanks, Joseph. Yet, in Adventure, manifests the beauty of perseverance, because after a couple of listens, I’m as positive that it’s a fine song as I was initially unsure. Icy, sparse and careful, this is a pop song with the fluff de-fuzzed, the syrup drained, but the appeal still intact. Imagine a half-speed Pet Shop Boys song but with fewer arched eyebrows, and you might be somewhere near the cool detachment of Adventure. Deadly serious, but not po-faced, Joseph Grand tip-toes between all the potential pitfalls. Smart, sharp pop. TODAY’S BONUS BAND: Lizard Kisses / FIVE WORD REVIEW: Sing me to sleep, sweetly. Posted on March 1, 2011 by Joe Sparrow. This entry was posted in Headline, Today's New Band. Bookmark the permalink.